A unique caffeine-free infusion with a mellow woody flavour and hints of natural sweetness. 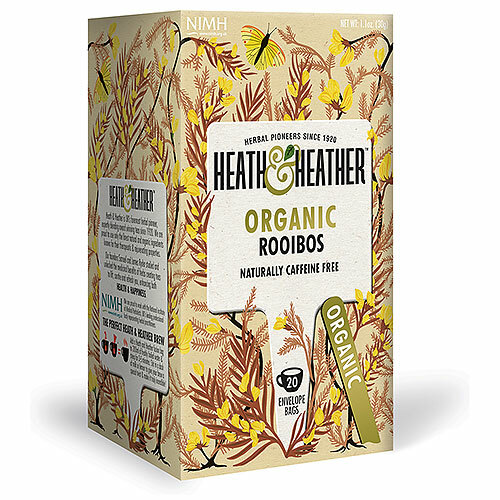 This naturally refreshing and caffeine-free organic rooibos infusion is a healthy alternative to tea and coffee, with a rich amber liquor and sweet undertones. To be enjoyed with or without milk. 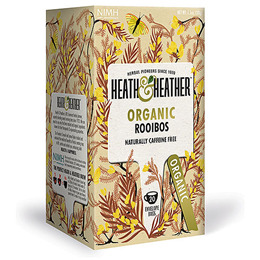 Below are reviews of Heath & Heather Organic Rooibos - 20 Bags by bodykind customers. If you have tried this product we'd love to hear what you think so please leave a review.